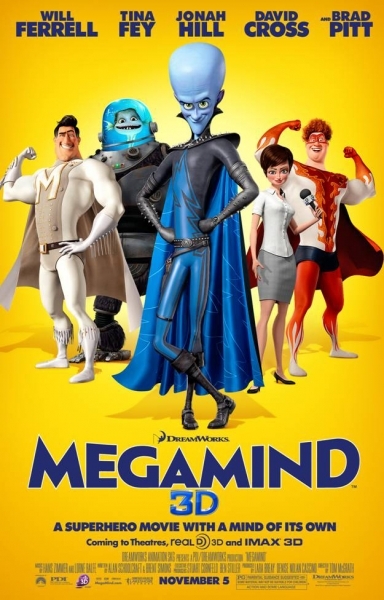 Megamind was the story of a super-villain whose plans never really work out well. He seeks to defeat Metro Man (the superhero) with his evil ways but ends up learning and applying some of life's important lessons along the way. I never really expected that much from this movie before watching it. However, it turned out to be one of those animated movies with a really great story and I enjoyed it all throughout. The movie was very well-plotted. It had its own surprises. The story was well-written with a lot of funny parts and was backed up by incredible voice talents. I wish I had watched it in 3D though because the animation was really great. It would be a 9 out of 10.